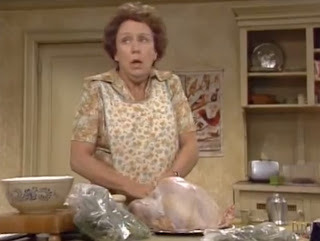 Today, I was watching All in the Family season 8 on DVD. I was watching "The Dinner Guest" episode and spotted another piece of Pyrex! Edith (Jean Stapleton) was using the "Homestead" pattern in the kitchen to make dinner. Here are the two clips I clipped up to show you! Isn't that cool? Can't wait if I can see more in the show! Update on my finds today! Can't wait for tomorrow's thrift! Pyrex carafe on All in the Family? Just finished watching Mad Men season 5! 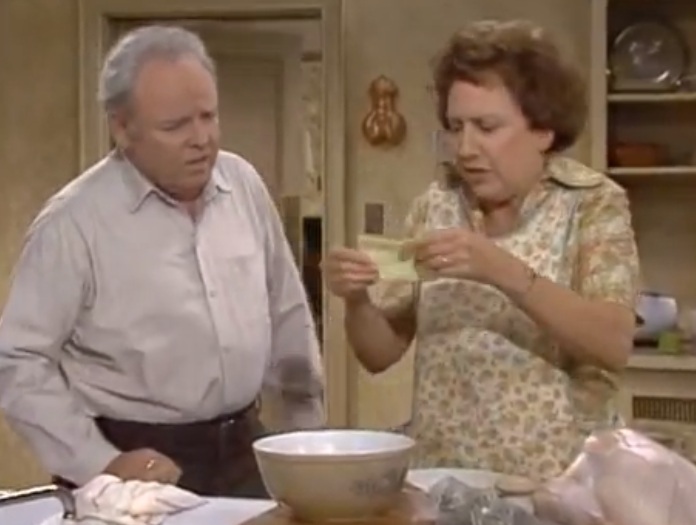 Pyrex on All in the family! Tomorrow I will be thrifting! Another time I bring home tons of stuff! More thrifting for me this Friday & Saturday!